Ducati's big adventure bike takes some key steps forward with a new engine and better tech. 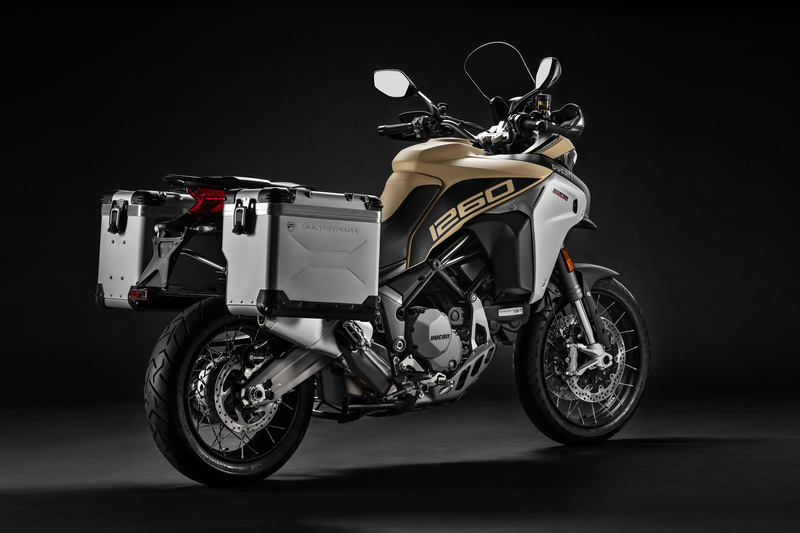 Topline: Ducati’s big adventure touring bike gets even more adventurous with the new 1260 engine, revised ergonomics, and more safety and connectivity technology. 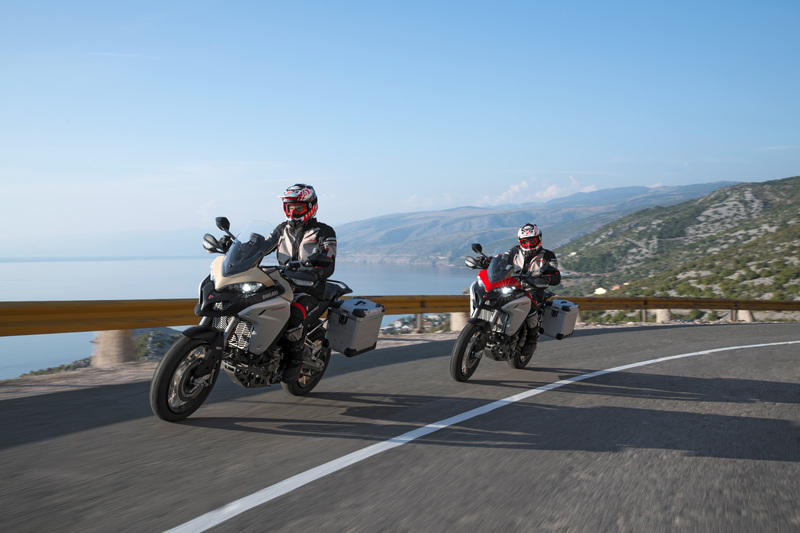 What’s New: The update to the Multistrada Enduro is similar to the one the standard Multistrada received last year. 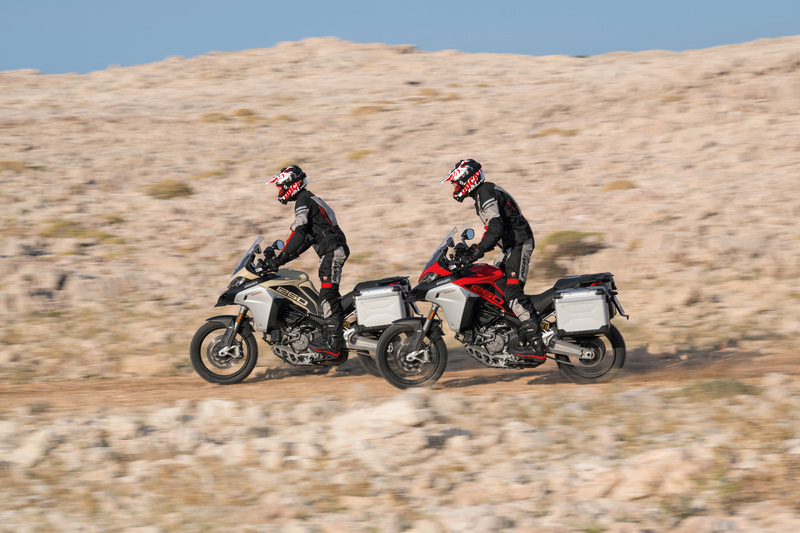 The Enduro, which is the most adventurous and off-road-friendly of the Multistrada line of versatile touring bikes, is poised to compete with adversaries like new BMW R 1250 GS and the Triumph Tiger 1200. The biggest update is the engine. 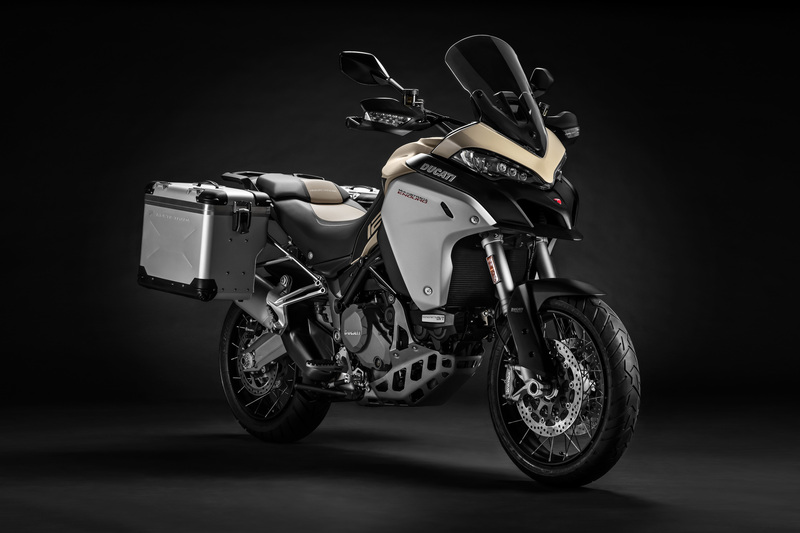 The new power plant for the Multistrada Enduro is a 1262cc Testastretta DVT (Desmodromic Variable Timing) L-twin engine that made its debut in the standard Multistrada last year. It puts out 158 horsepower and 94 lb-ft of torque in a bike with a dry weight of 496 pounds, and it’s equipped with Ducati Quick Shift (DQS) tech to allow for clutchless shifting. 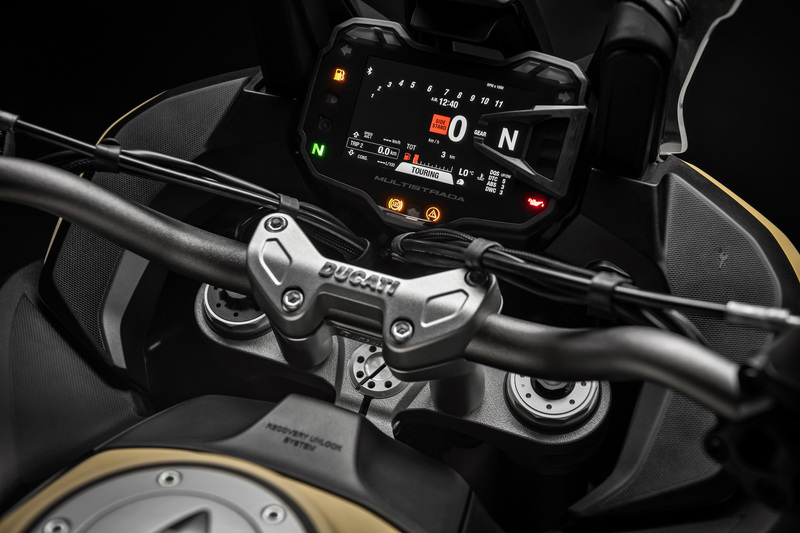 Some of the standard electronics on the 2019 Ducati Multistrada 1260 Enduro include cornering lights, wheelie control, traction control, and Bosch Cornering ABS which is quickly making its way to every corner of the Ducati lineup. The seat, handlebar, and center of gravity have all been lowered compared to the outgoing 1200 model, which should make it a little more comfortable and more approachable to a wider range of riders. However, its more rugged nature is apparent in the spoked wheels (19” in front, 17” in front), semi-active Sachs suspension with 7.2” of travel in front and back, skid plates, and 7.9-gallon fuel tank. 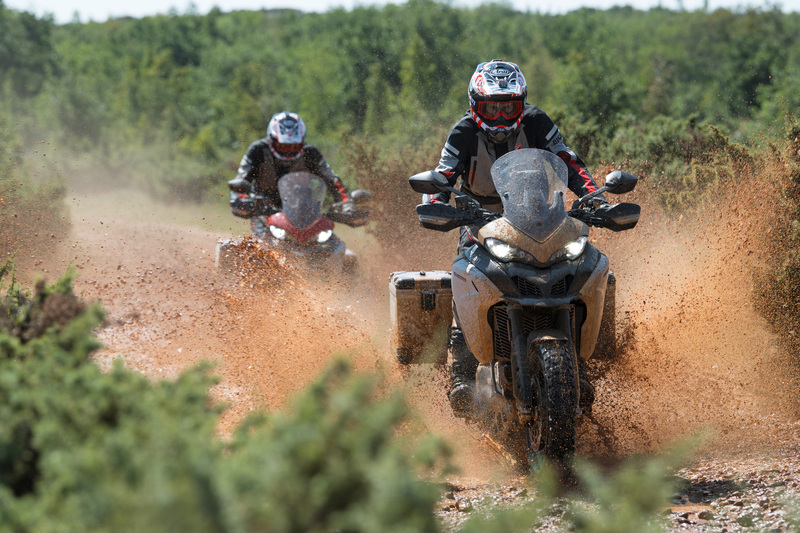 Adventurous as it is, the new Multistrada Enduro is still quite sophisticated. 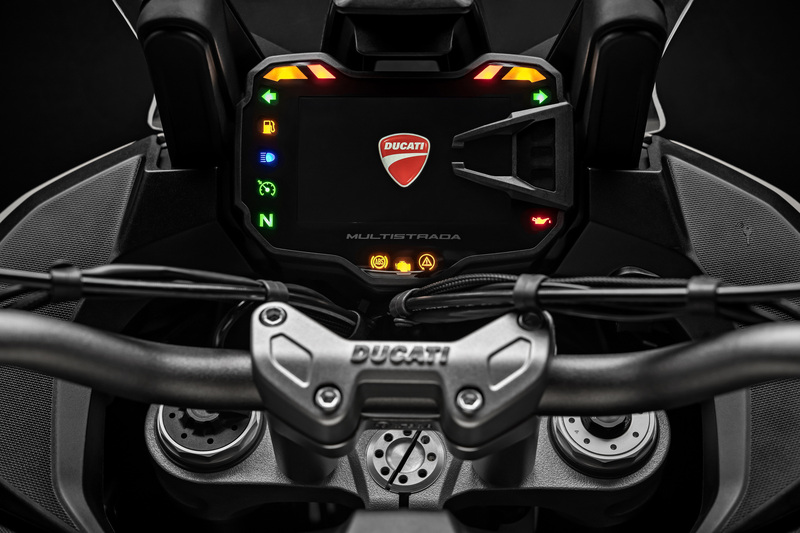 It has a five-inch TFT color display with the Ducati Multimedia System that gives you Bluetooth connectivity. It’s also compatible with the Ducati Link App that allows you to configure custom riding modes on your phone; it also gives you maintenance reminders, a user manual, and even a Ducati store locator. Quotable: “Presented back in 2016, the Multistrada 1200 Enduro was Ducati's first travel enduro. 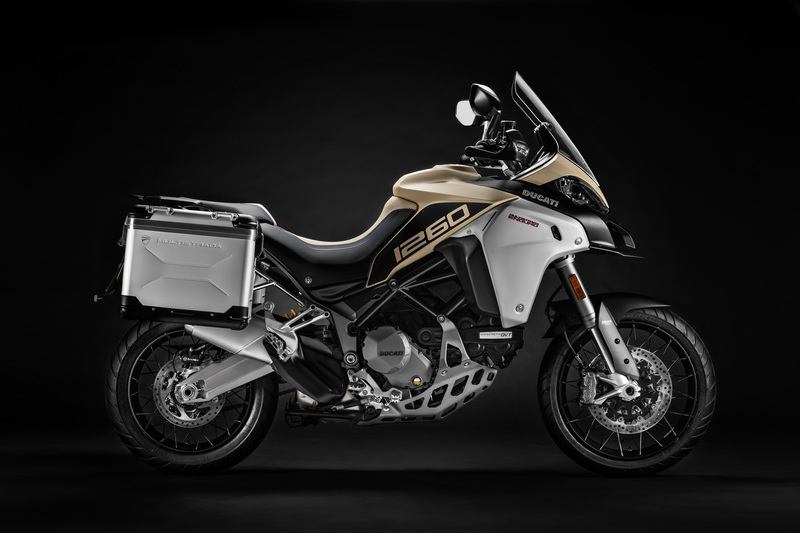 Now, with the arrival of the 1260 Enduro, the Bologna-built globetrotter has become even more user-friendly and fun, letting riders experience unlimited Ducati technology, performance and comfort whatever the challenge,” said Ducati in a press release. What You Need to Know: Adventure bikes are great at what they’re made to do, but they can be a bit intimidating. It looks like the goal of the new Multistrada Enduro is to get more people who are interested in the concept to actually try one out by making them more approachable. Ducati can cast a wider net with a bike that's easier to mount and dismount and comes with some cool tech to help justify the price tag. At the same time, the new Enduro is sure to satisfy die-hard adventure riders who are expecting uncompromising capability. Pricing hasn’t been confirmed yet for the 2019 Ducati Multistrada 1260 Enduro, but we’re expecting it to start a little under the $20,000 mark in the U.S. when it hits North American dealers in February 2019.